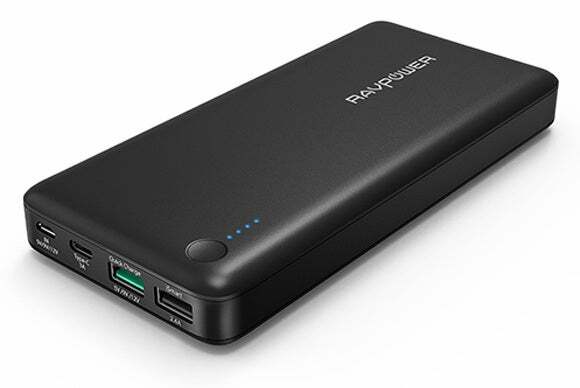 However, if you need speed and diversity of ports, and you have the right mobile equipment to go with it, you might prefer the RAVPower to the Anker model. 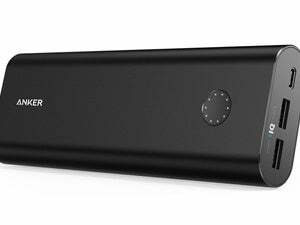 It can be recharged through two ports (Micro-USB and USB-C), and the USB-C port can also charge other devices. And it has two Type-A ports with distinct characteristics. Unique among batteries tested, it can not only charge other devices using the increasingly common Quick Charge 2.0 standard (developed by Qualcomm), but also be recharged that way as well. Charging requires an appropriate mobile device, like a Moto X Pure Edition. 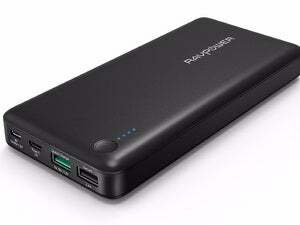 Recharging the pack’s internal cells speedily relies on a separate USB charger with that technology; I purchased an Aukey 36W 2-port Quick Charge 2.0 adapter for about $23. USB-C for recharging or device charging at up to 3A. USB Type-A at up to 2.4A (output only). 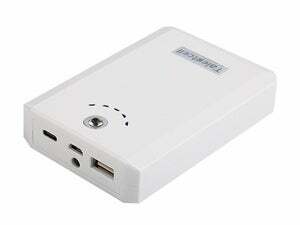 USB Type-A with Quick Charge (output only) for 5V at 2.4A, 9V at 1.5A, or 12V at 1.2A. RAVPower doesn’t provide a total output among all three charging ports, unlike with its other devices, and it didn’t respond to questions via email. If it’s like comparable gear it should max out at a total of 5.5A or 6A. Includes mesh carrying bag, Micro-USB to Type-A cable. One-year warranty, plus another 12 months if you register with the company.